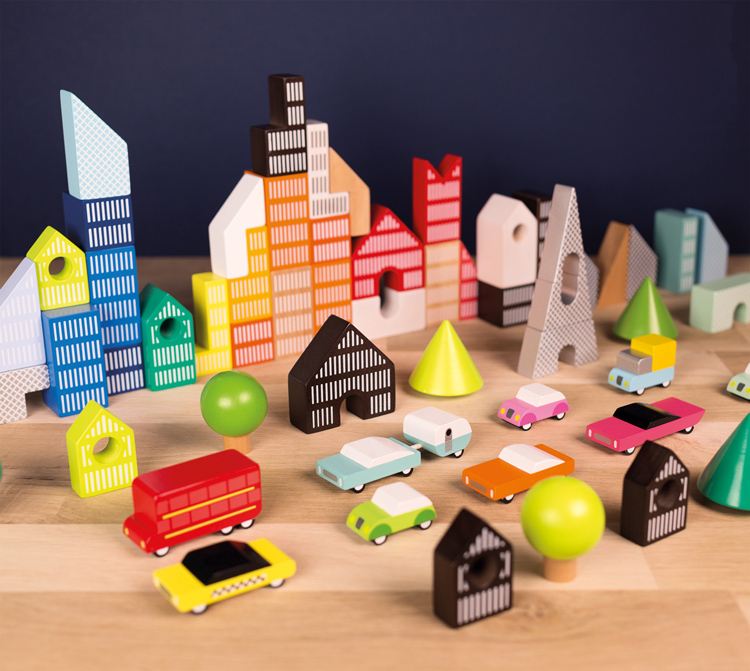 70 amazing wooden cubes painted with water-based paint for building a city of tomorrow. 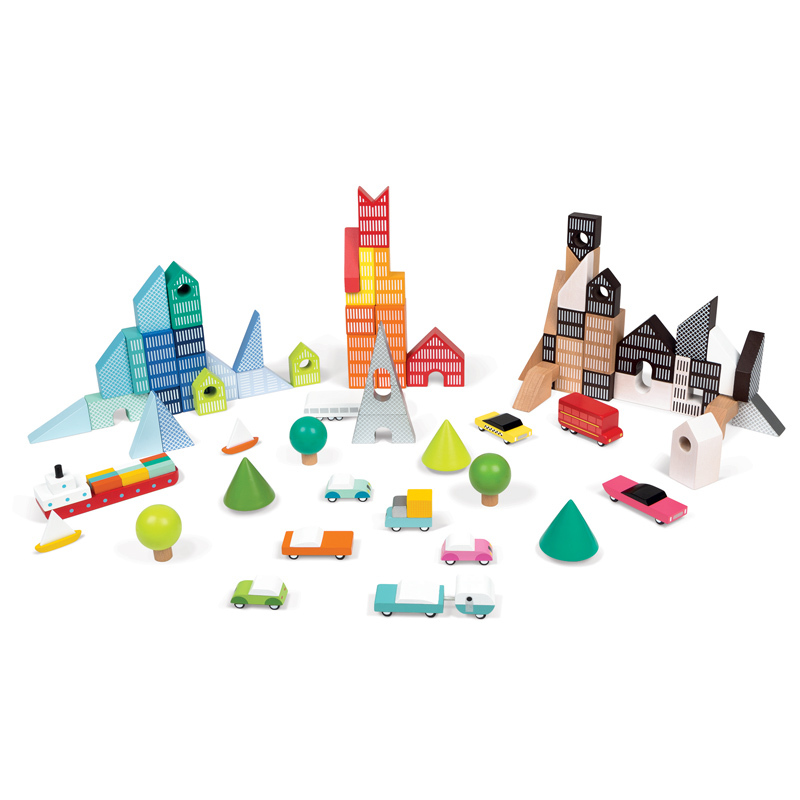 Loads of options for aspiring architects, you can build cities, towers and landscaping that can be brought to life with 13 wooden vehicles and trees. 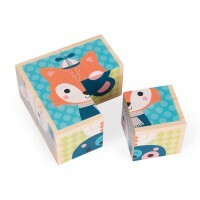 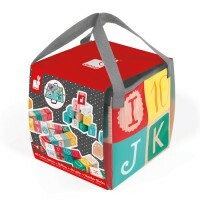 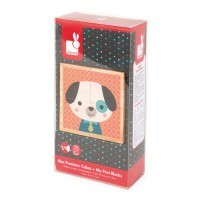 The blocks are various sizes and shapes with printing of windows on two sides for a 3D effect. 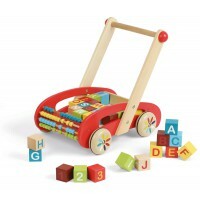 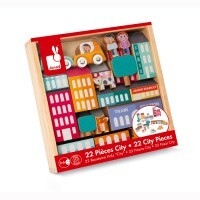 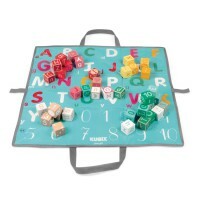 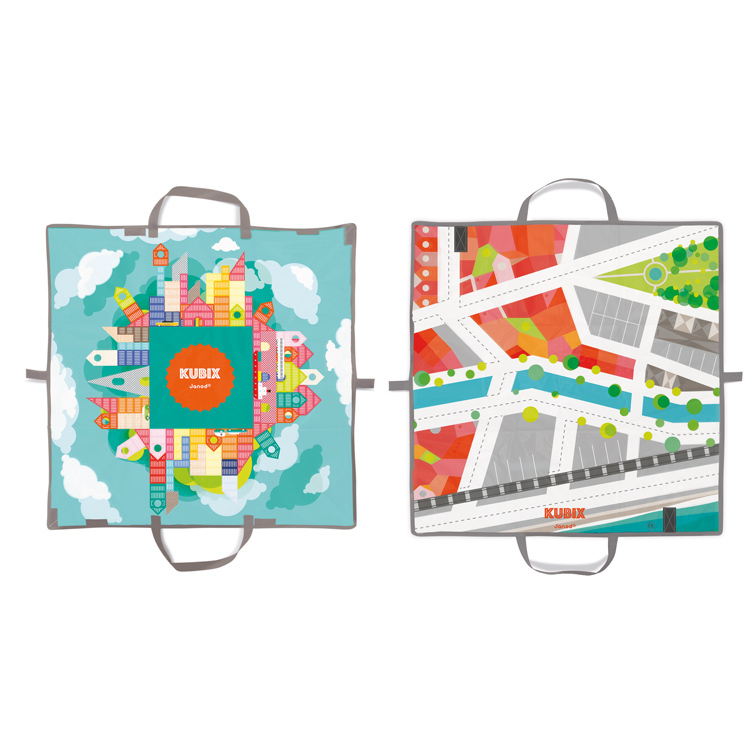 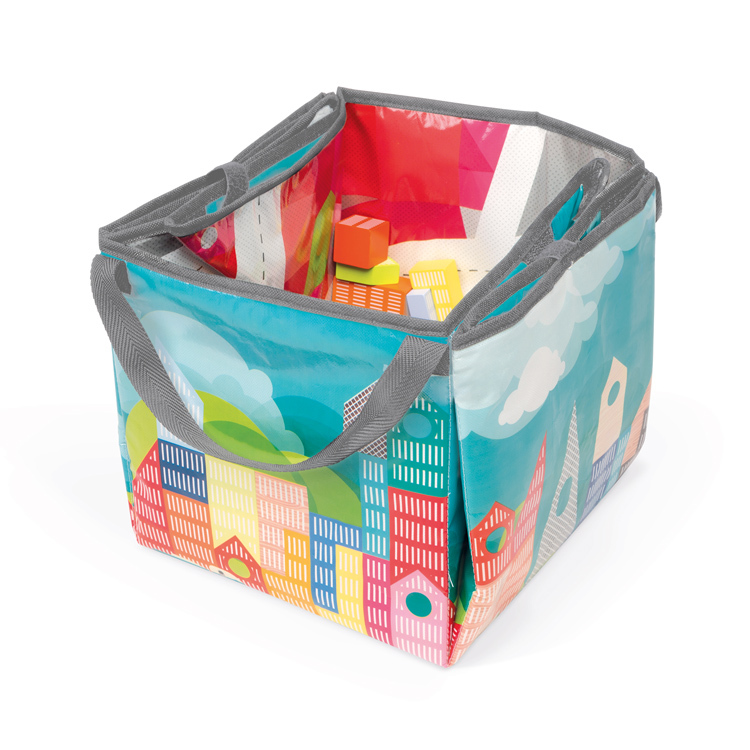 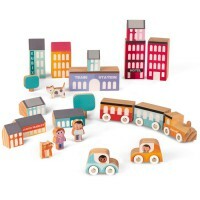 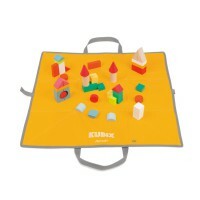 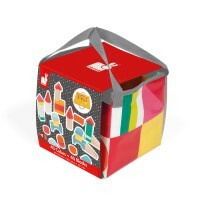 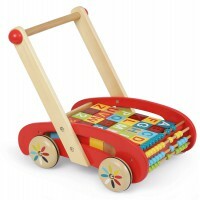 Children can build the city on a themed decorative 2-in-1 play mat (75 x 75 cm) which is included and folds up quickly to store the blocks, also perfect for travel. 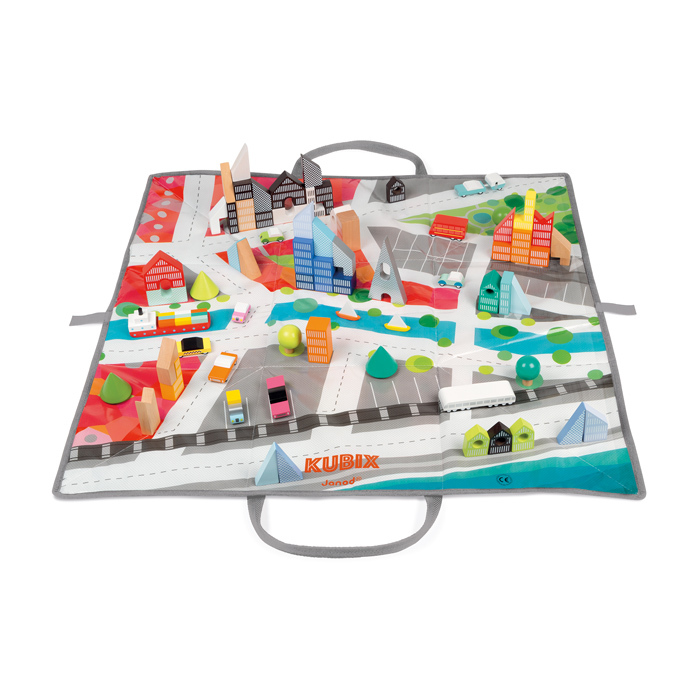 The mat has a cityscape to place your creations and vehicles and let imagination become a reality!